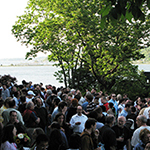 We are pleased to host the eleventh Cold Spring Harbor meeting on Microbial Pathogenesis and Host Response, which will begin at 7:30 pm on Tuesday, September 12, conclude Friday evening with a banquet and departures on Saturday morning, September 16, 2017. The meeting will focus on interdisciplinary approaches to study infectious diseases integrating the disciplines of molecular microbiology, eukaryotic cell biology, immunology, and genomics. The meeting will provide an in depth focus on the approaches that are being used to elucidate the mechanisms of bacterial and fungal pathogenesis, and promote the application of these concepts to understanding the evolution of emerging diseases. Sessions will integrate studies on bacterial and fungal pathogens. The oral sessions will begin with 3-4 invited talks by established leaders in the field, followed by several shorter talks chosen from submitted abstracts. 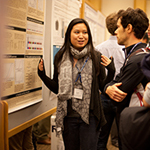 We strongly encourage submission of abstracts by junior researchers in the field. 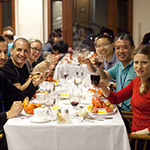 The designated hashtag for this meeting is #cshlhost. Note that you must obtain permission from an individual presenter before live-tweeting or discussing his/her talk, poster, or research results on social media. Click the Policies tab above to see our full Confidentiality & Reporting Policy. Partial support for this meeting is provided by the Burroughs Wellcome Fund.